We started Shedworx in 2007 and quickly threw together a logo and brand. Five years and a few million app downloads later, and its time for a new look. We've gone with a simple branding with a splash of colour to represent the different things that we do. The swirls even contain the S and W initials of the Shedworx name. Smart Converter Pro is also now available for Windows! Download the new Windows version here. Hot on the heels of our Smart Converter for Windows release, we've got the Pro version all done now too. Batch Processing - queue up and convert as many files as you like. Advanced Control - a whole bunch of preference settings let you take control of your conversions. Smart Converter Pro has passed Microsoft certification and is listed on the Windows Store, ready for the Windows 8 launch this Friday. Smart Converter Pro for Windows works perfectly on Windows XP, Windows 7 and Windows 8. 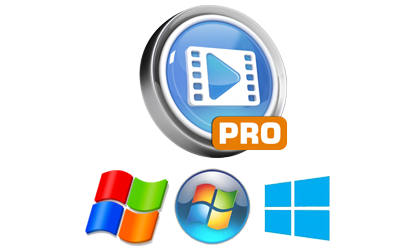 We hope you enjoy using Smart Converter Pro for Windows. Smart Converter is now available for Windows! We've been working on the Windows version of Smart Converter since the start of 2012, and after an extended Beta testing phase, it's ready to go! Smart Converter for Windows works perfectly on Windows XP, Windows 7 and Windows 8. We've also been going through the new Windows Store certification process and just yesterday, Smart Converter was listed on the Windows Store, ready for the Windows 8 launch on Friday 26 October. 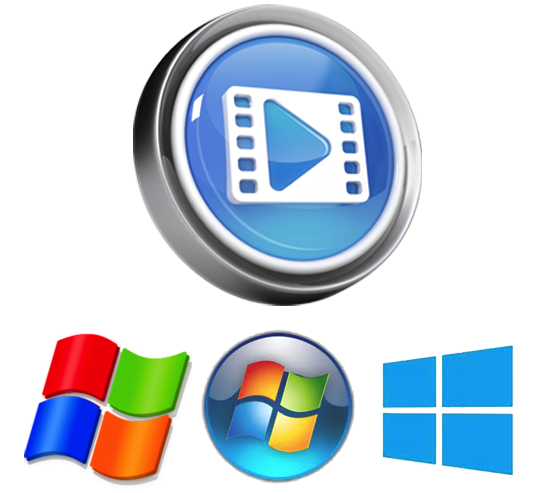 Smart Converter for Windows includes all the smarts from Smart Converter for Mac, which has been holding down the number one video converter spot on the Mac App Store for over a year now. Windows 8 looks like a great new operating system for the PC. We've found it to be reliable and easy to use throughout our development and testing this year. We hope you enjoy using Smart Converter for Windows. For the past few months we've been hard at work on a great new app - MovieShare! MovieShare is about to become the easiest and best way to share movies between any iPhone, iPad and Mac. MovieShare is a super-easy way to share and play movies on iPhones, iPads and Macs. Its that simple, but that's what makes it so great. How many times have you hit these problems? You're away from your 'Home' Mac where you usually sync your iPhone or iPad and you want to get a new movie onto your iPhone. You're out and you want to move a movie from your iPhone to your iPad. A friend has a movie that you want on their iPhone. MovieShare enables a whole world of sharing that just isn't possible using iTunes and the regular Movie syncing approach. We've been using MovieShare for months now at Shedworx and we're sure you'll love it too. We've created a new Facebook page for MovieShare where we'll be posting updates as we get closer to the launch date. Mountain Lion support for Shedworx apps! Today we finished our application updates for Mountain Lion support. Now, everything except HD Quick Look has been updated to support Mountain Lion. This means that all the Shedworx apps that you download from shedworx.com (not the App Store) now include the Developer signing that is required for an app to run under Mountain Lion. All the apps have also been submitted to Apple for updating on the Mac App Store, so that will happen when it happens. There seems to be a big backlog with the App Store review process at the moment, probably due to all the apps being updated for Mountain Lion. HD Quick Look is a still under development while we decide whether or we can update it to work under Mountain Lion. We will put out a separate post with details of where we end up with this. All three of the Shedworx AVCHD apps have been updated with a few key fixes and Mountain Lion support. We have updated our core AVCHD engine with a couple of key updates. Over the past few months camera manufacturers have released new AVCHD variants in the 50p and 60p area. 50p (and 60p) are the highest level of HD recording available on consumer camcorders today. The 50p refers to the 50 full (progressive) frames per second that these cameras can record. The video from these cameras is the absolute best quality available today. We have supported the initial 50p and 60p formats used by Panasonic since 2010 so this update covers all 50p and 60p recording formats from all AVCHD camera manufacturers. LPCM is a pro-level audio format used in Pro video cameras. Over the past year more and more Pro video cameras have moved to the AVCHD video format, away from vendor-specific video formats. As they have moved into AVCHD, these Pro cameras have begun using LPCM audio, rather than the Dolby Digital 5.1 audio that consumer camcorders use. LPCM has always been in the AVCHD spec, its just that nobody was using it. This update to our AVCHD apps now supports LPCM audio in AVCHD videos. We've also updated all the apps to be signed with the Shedworx Developer Certificate. This allows our apps to be installed and run on Mountain Lion under the default OSX security setting which prevents the execution of non-signed apps. Voltaic, Revolver and Cosmos are now available for Download from shedworx.com or via Automatic Update from the applications themselves. All three apps should be available via the Mac App Store within a couple of weeks. We submitted them today.